Every summer I try to find a bunch of fun things for my kids to do and this year will be really fun. I have found a way to make our own window clings. Look at all these cute designs I have. I bought these for the kids to paint and hang in the window a while back but then wanted to use them for more. First, start off by placing your design under the plastic sheeting. This flexible plastic is best for a finished product. I have tried to directly place the puff paints on the plastic designs, but they don't release well. So make sure you use the flexible plastic envelope or something like it. Grab all the fabulous puff paints and let the kids pick out their favorite colors. I have a bunch. This picture only shows a handful. LOL I recommend primary colors, bright colors, black and white for highlighting and even glitters to give that extra sparkle. 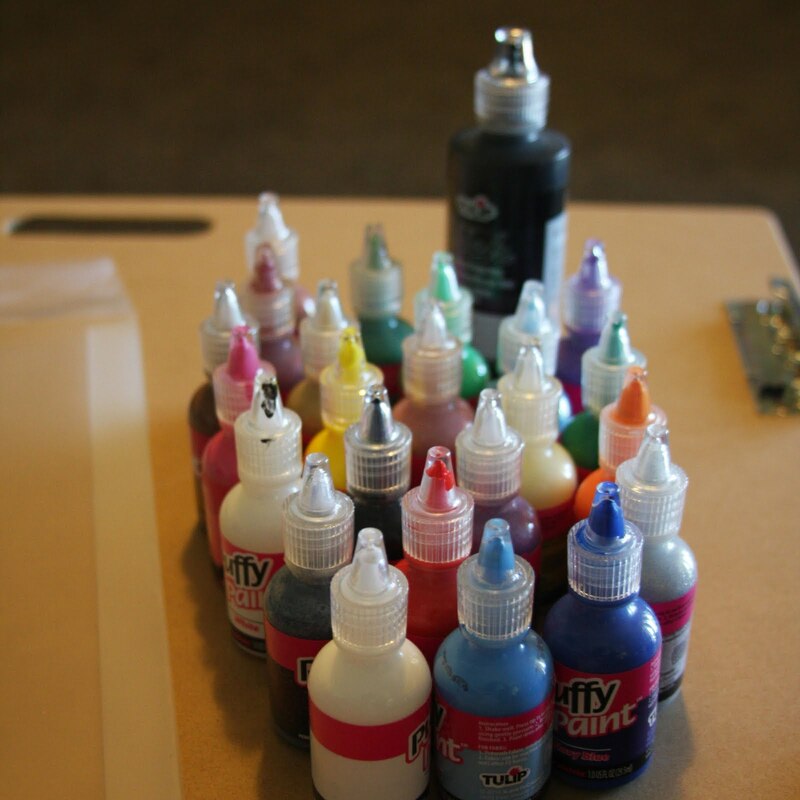 Start adding your puff paint on top of the plastic as if you are coloring. 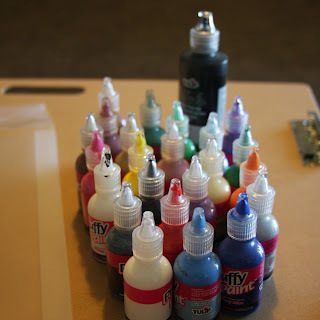 Help the kids shake the paint towards the tip of the bottle before squeezing or they may squirt out and make a mess. 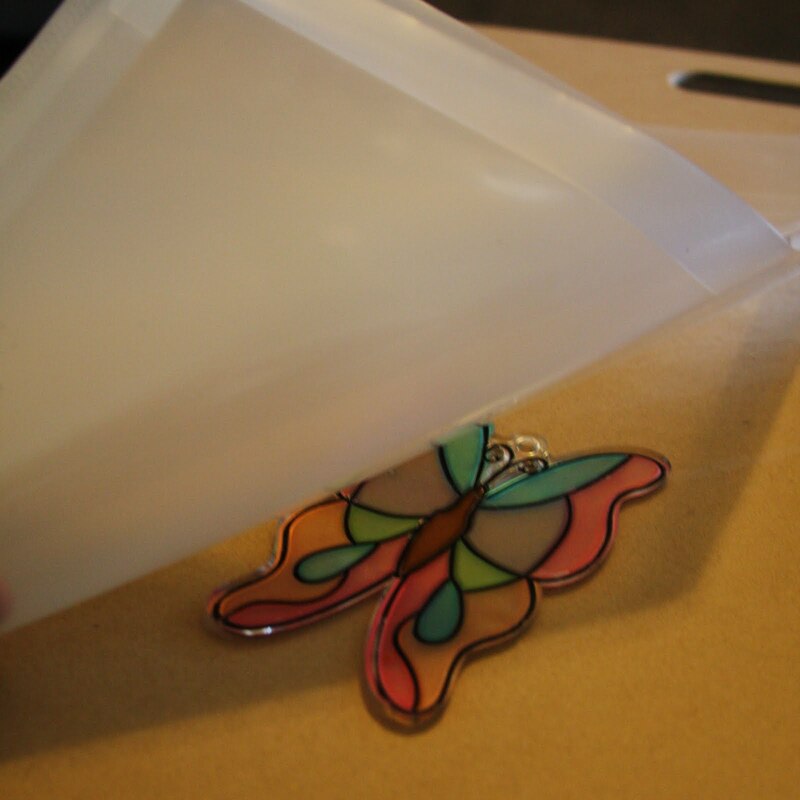 When you're done, just slide out the design and set aside your creation to dry. Once dry, you can easily peel off and hang. Hang them on windows, mirrors, walls and more. TIP...as its drying you may notice some cracking and separation. There is an easy fix! Just take the matching puff paint color and fill in the cracks. Let dry completely. 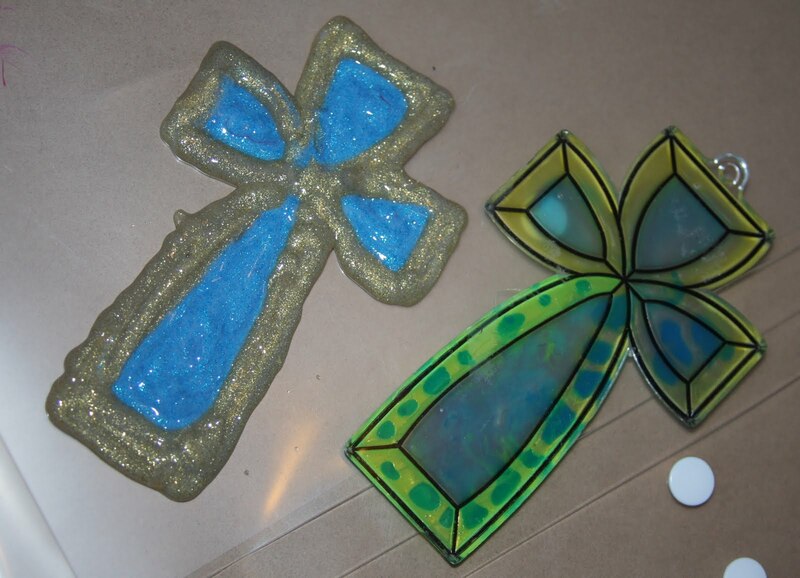 Below are a few more examples of what we made. Use your imagination and you can make so many designs. 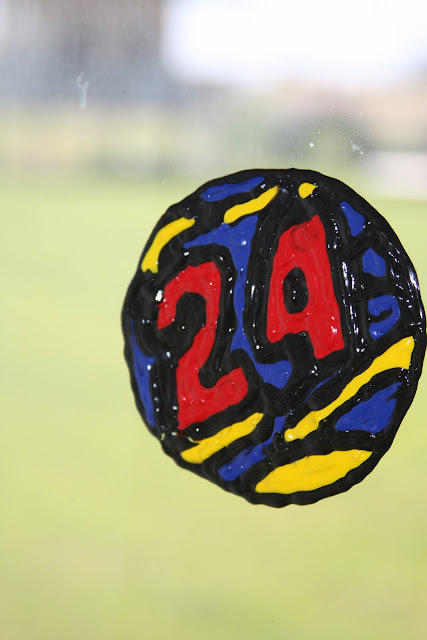 Have you made window clings? What did you use? How did they turn out? Share your links and comments below!